Thorntons, beloved English chocolate, ice cream and coffee shop, has recently been the unhappy recipient of a recall notice. Known for passing out a free chocolate-of-the-day complimentary with café purchases, their chocolates are sold across the UK in grocery chains and in the Thorntons stores. 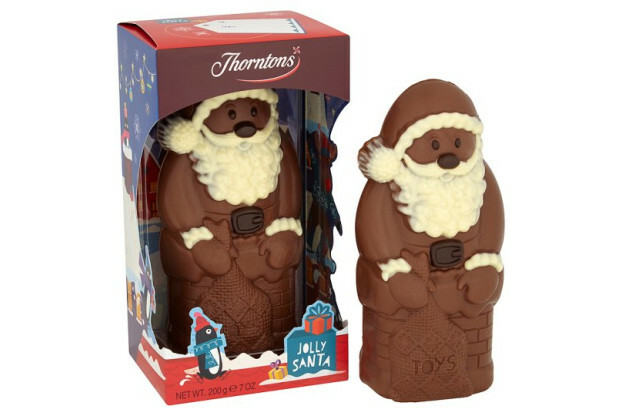 Anyone in possession of Thorntons 200g Hollow Milk Chocolate Jolly Santa should return them to a Thorntons store for an alternative product or refund. Alternatively, recalled Santas can be mailed to Thorntons’ headquarters in Derbyshire. Barcode Number: 5016346234721, all date codes.